I had to make a sweet treat for my son’s kindergarten Halloween party and so I decided to make cookies. 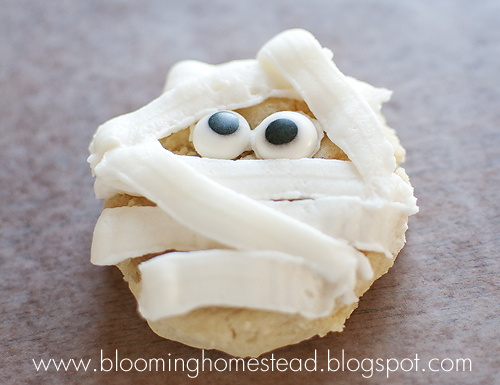 Mummy cookies. I usually do these with candy melts and oreos…but to be honest no one really likes the taste of the candy melts! Most just take a bite…say they are cute and then are done and they waste. So I decided to make sugar cookies instead. 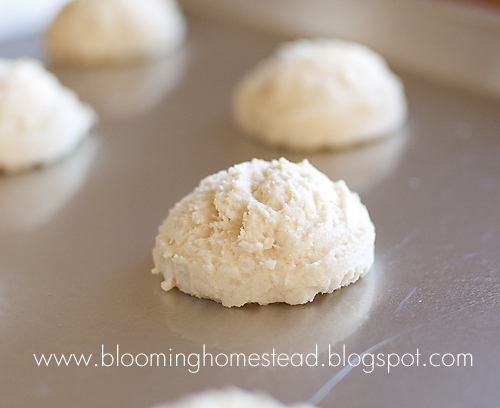 I also took the easy route out by using a cookie dropper instead of rolling them out. I am cheater I know. They came out like this. I used my spatula and just pressed them down flat. 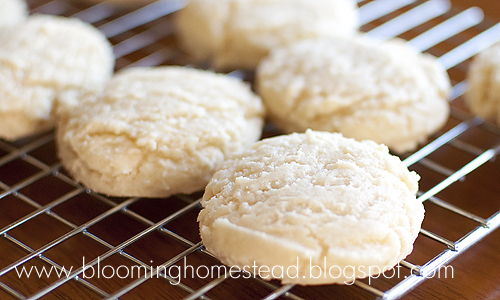 Super easy round delicious sugar cookie. I then whipped up some buttercream frosting and started decorating. I used a little frosting to hold down the eyes. (I found these candy eyes at Hobby Lobby in Halloween section). Then used the flat side of my basket weave tip to make the bandage lines with the frosting. I just whipped it across until I liked the look. Super easy, super yummy, and super cute. 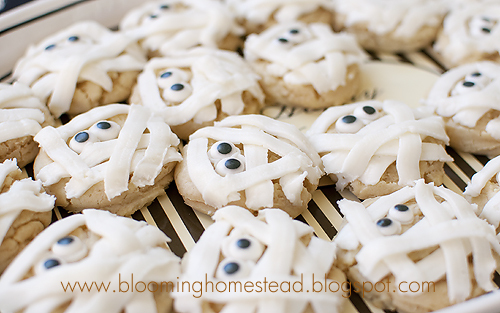 These Mummy Cookies will be the hit with kids and adults alike! Who wouldn’t love to bite into one of these goodies? 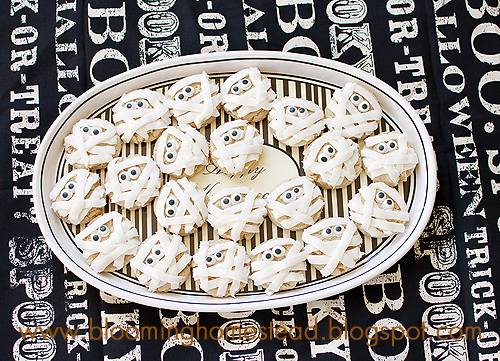 Not only are they the cutest little Mummy cookies ever, but they are super delicious! Hello! 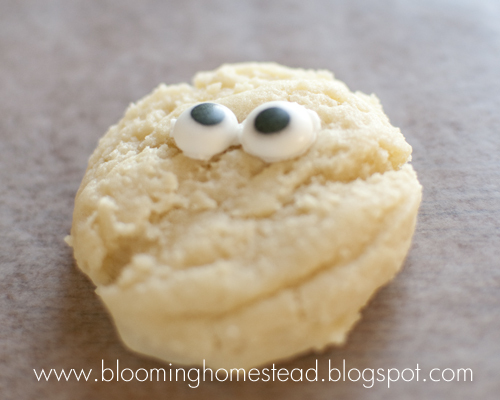 I was looking at your Blog and I came across your sugar cookies. They look great! I could not find the recipe. I would love to get a copy of it. My e-mail is sdaly4@cox.net. Thank you very much! I have enjoyed your site! Oh, sorry! I wil post the recipes soon. If you want it right away send me your email and ill email it to you! Hi, I was looking for the frosting recipe. Can you email it to me. Thanks! These are adorable and I want to make them for my son’s Kindergarten class. Hi Kristyn, I just sent it over!